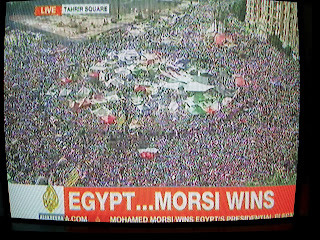 Here's a 30-sec video of Morsi Presidential celebration from Tahrir. Just to give those without a way to know, what it sounds and looks like there today. 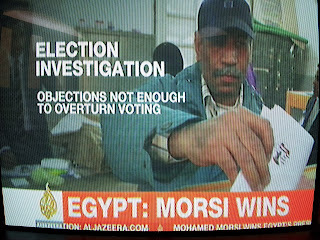 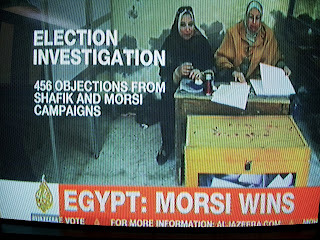 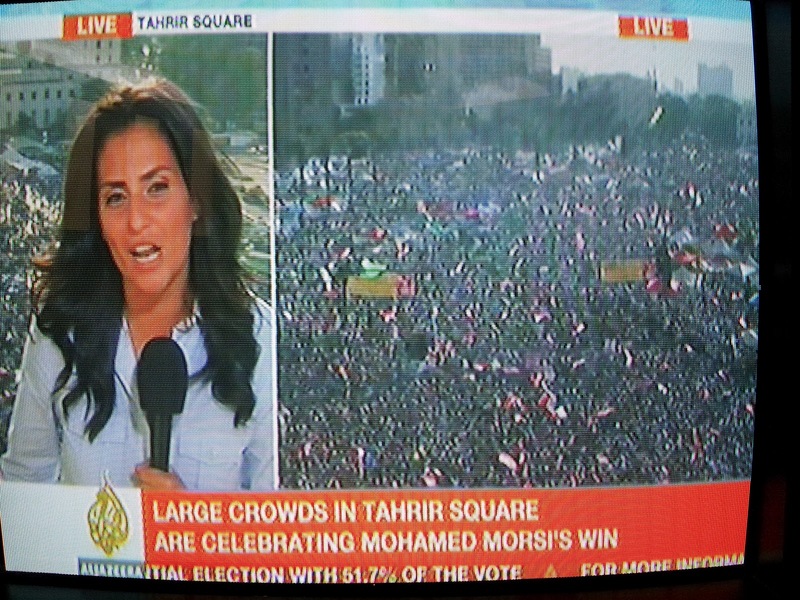 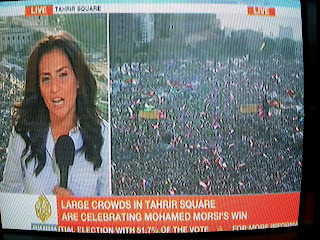 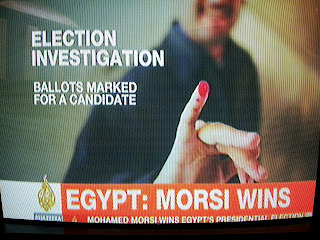 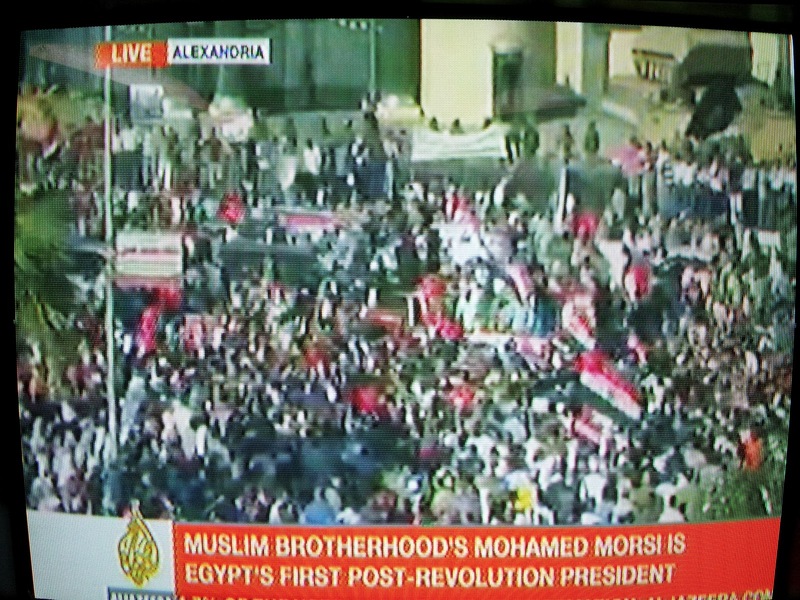 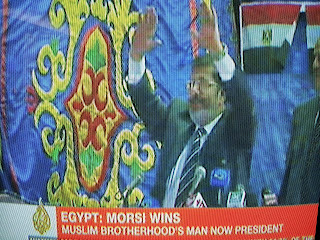 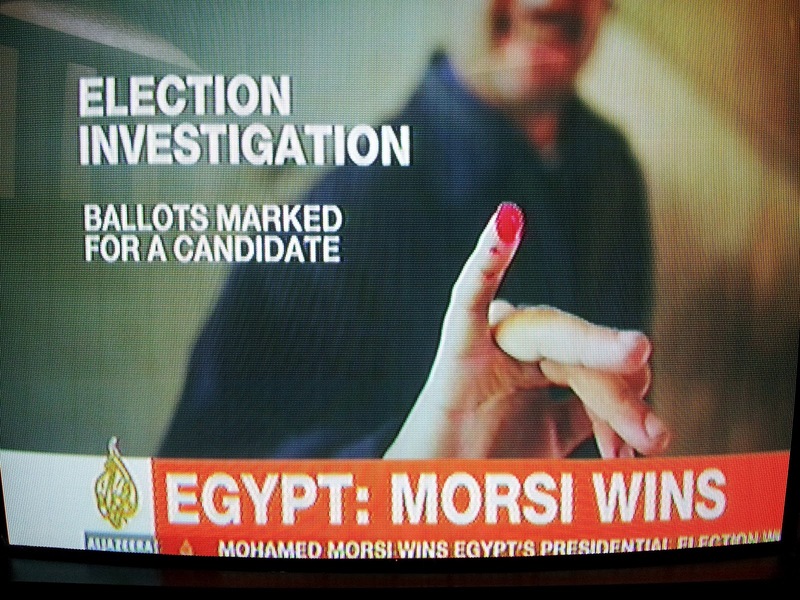 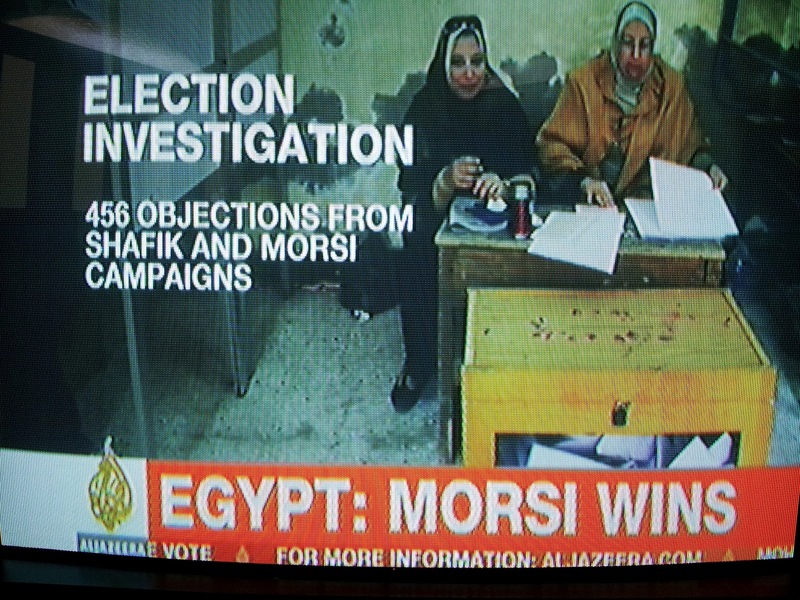 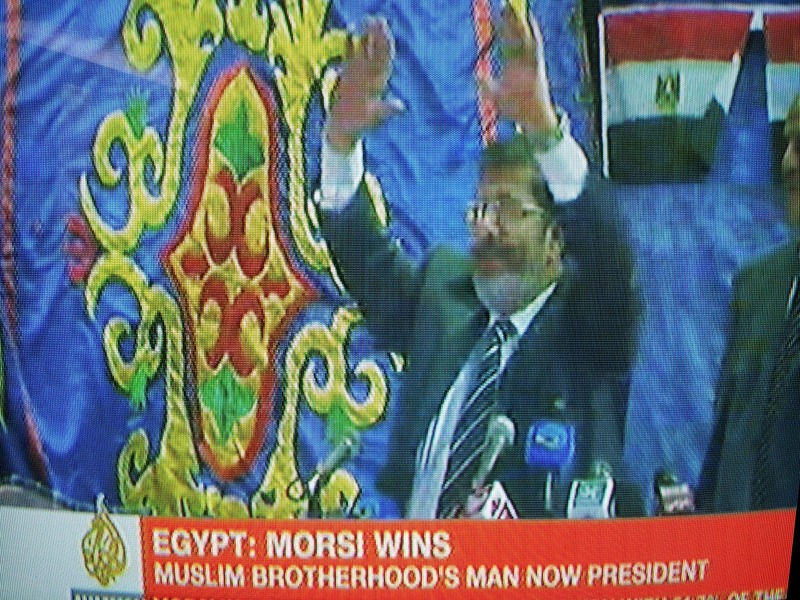 Alexandria, Egypt celebrates Dr. Mohamed Morsi first freely elected civilian President -- with 3% margin win over Ahmed Shafik. 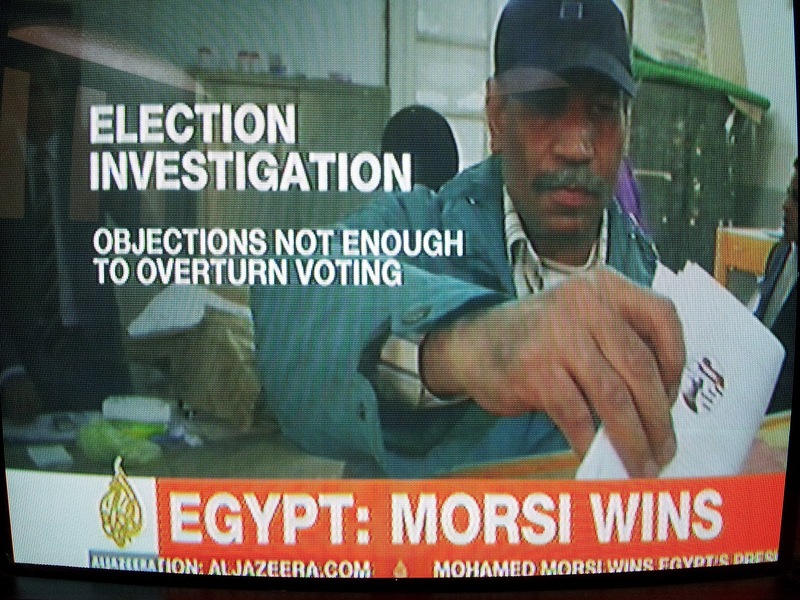 Morsi's spokesperson told Al Jazeera, "There will be no religious dominance over political decisions whatsoever"
MORSI: We are continuing to stay in Tahrir, our joy will not make us forget our Revolution. 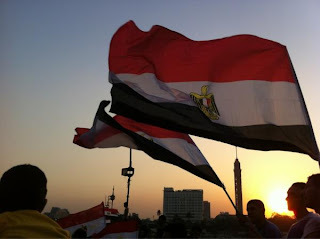 Our requests: 1) Abolishing the complimentary constitutional amendment (of June 17), 2) the Parliament to come back, 3) Abolishing the military policing authority and 4) the constitutional committee formed by the parliament is valid.